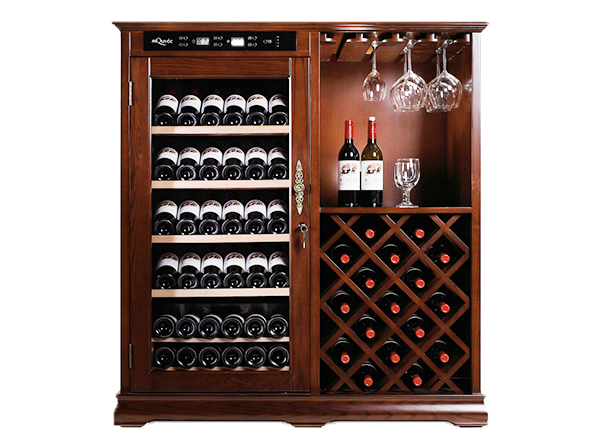 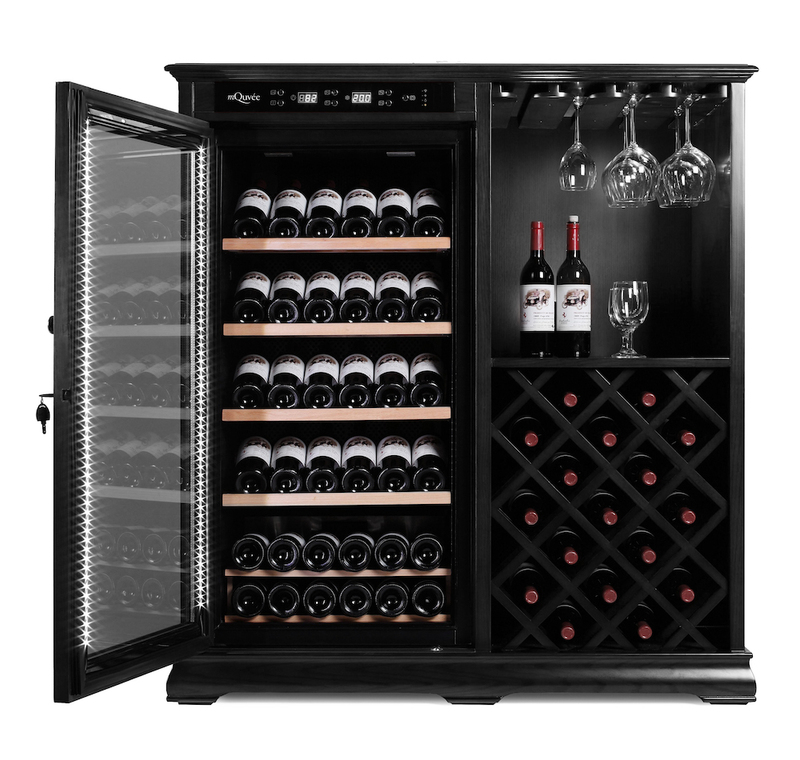 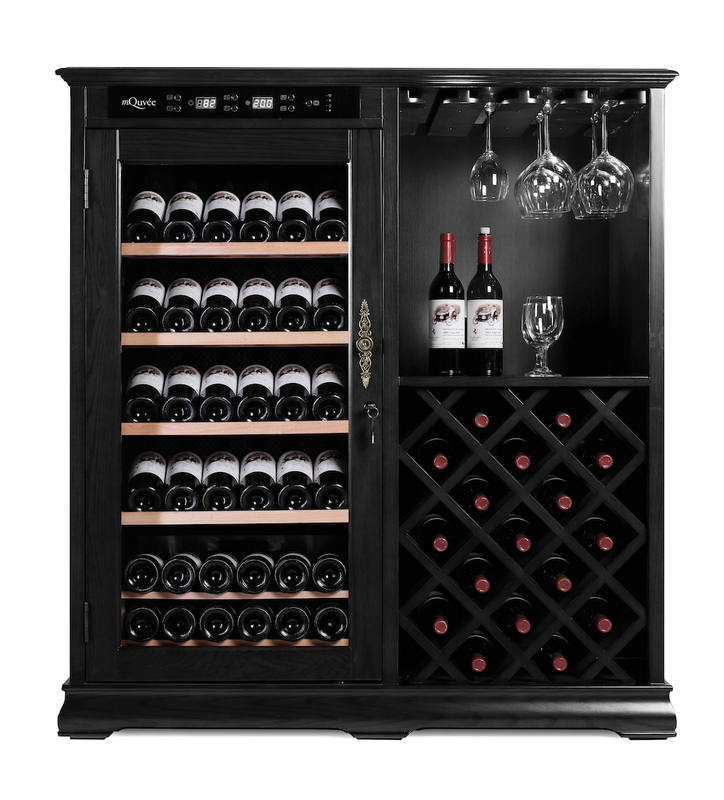 Elegant wine cabinet in solid wood (American oak) where you can store your wines in a wine cabinet both at the right humidity and at room temperature. 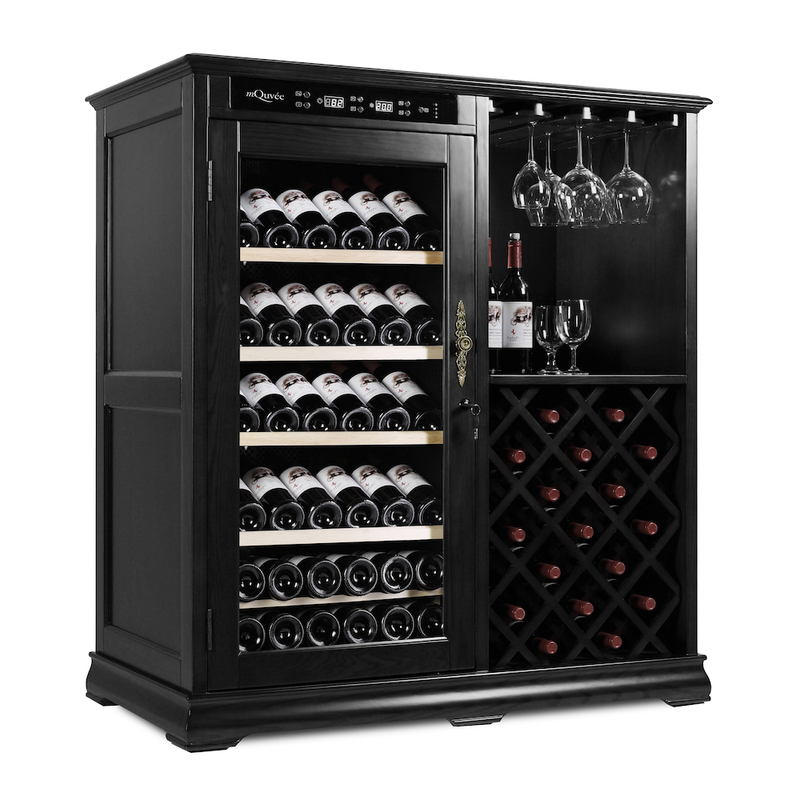 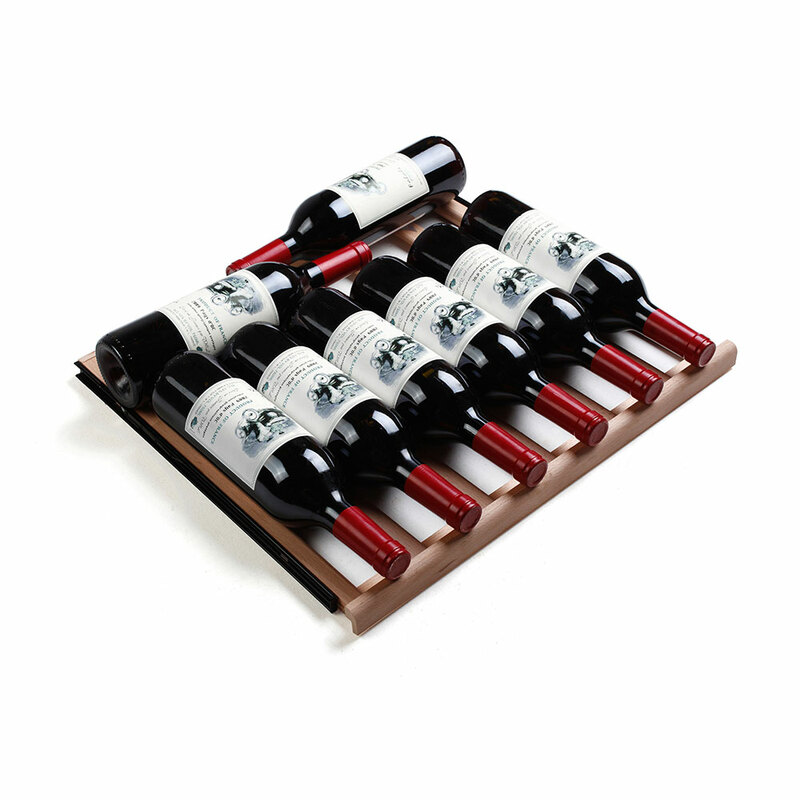 The practical surface and glass rack will allow you to sample your favourite vintages directly from the cabinet. 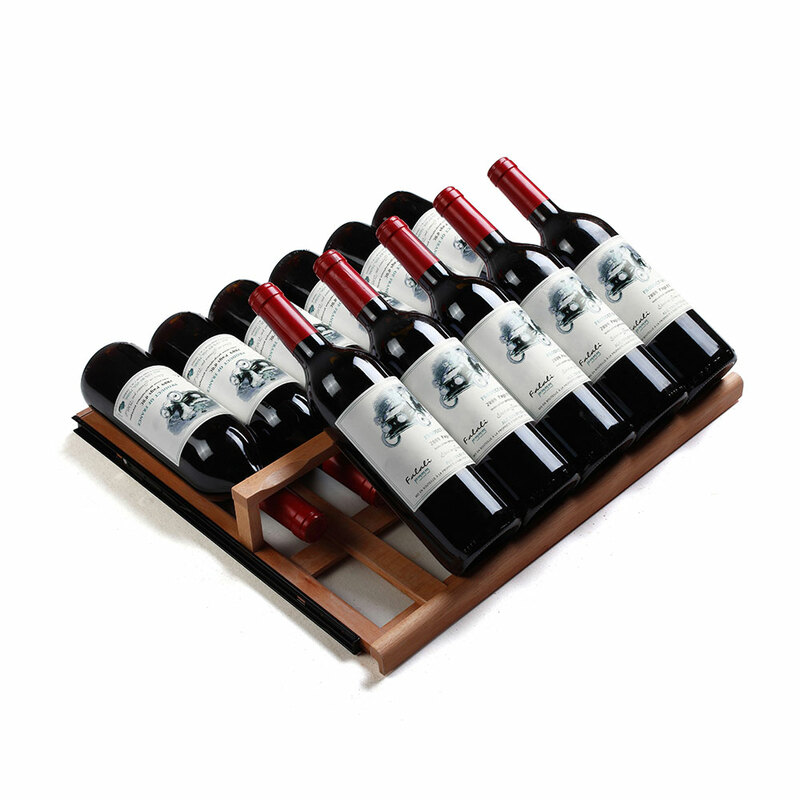 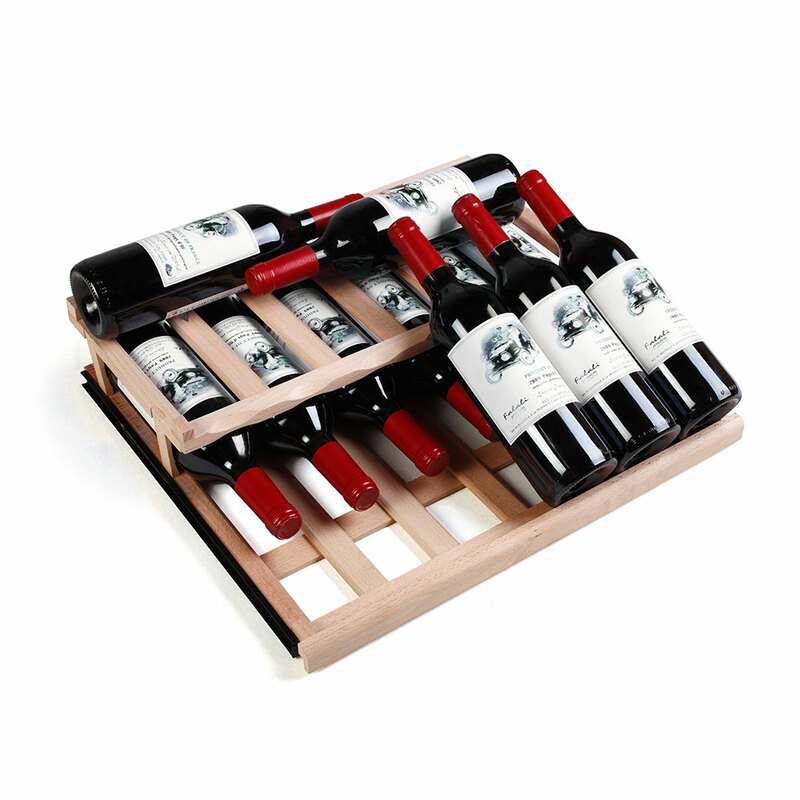 This wooden wine storage solution from mQuvée with a stunning reddish hue gives you nothing but the best pos-sible results!